Yadid Lachinuch (Hebrew for “Friend of Education") is an Israeli charity established in 2007 in collaboration with the Rothschild Foundation and the Gottesman Fund. The guiding principle is to address two significant Israeli issues: (1) the need to enhance the quality of education in Israel’s overburdened and under-staffed elementary schools and (2) to provide meaningful volunteer opportunities for a growing number of Israeli senior citizens who would benefit from engagement in volunteer work opportunities. Changing public view of senior citizens - facilitate intergenerational encounters in order to encourage respect for senior citizens. Encouraging volunteerism - The students, parents, educational staff, principals and the various municipal agencies are all exposed to the challenge of volunteerism. Yadid LaChinuch has developed a unique model mostly operated in elementary schools across Israel; the model has been certified and approved by the Ministry of Education and is operated in partnership with the relevant municipalities' Education Departments. Our senior citizen volunteers do not replace teachers, but work alongside them. In our experience, the very presence of an adult with meaningful life experience enhances the classroom learning atmosphere and the school environment, as well as the children's sense of efficacy. The result of this process is improved educational achievements in those particular schools. Furthermore, we emphasize to the volunteers the importance of providing the children with valuable life-skills, thus nurturing a generation of good and productive citizens. In every locality in which we operate, we assign a senior citizen with experience in the education system to serve as a voluntary coordinator. The senior citizens serving as volunteers in each specific municipality are not required to have educational experience but are required to commit to volunteering at least one day a week. Placements are assigned based on the volunteers’ interest and experience, and on the needs of the local school board. All volunteers are receiving training sessions before they enter classes and during the school year as a part of their placement, as well as continuous evaluation and support. The volunteers work in educational enrichment activities, and support teachers and pupils within and outside the classroom, according to the needs of the school. In our 10th anniversary, Yadid LaCHinuch can point to considerable success with its flagship initiative which addresses the needs of children, elementary school educators and communities at large. At present, 2,800 Yadid Lachinuch volunteers work in over 490 schools throughout Israel; thus, thousands of elementary school students, as well as hundreds of teachers and principals benefit from the program. Our volunteers report their satisfaction and its impact on their own quality-of-life. 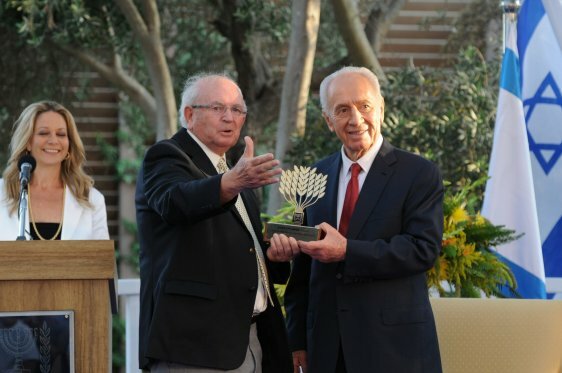 In our short history, we have experienced great success: in 2011, the organization received the President’s Volunteering Award, and in 2012 Dina Benkler (founder) won the Knesset's Speaker’s Prize for Yadid LaChinuch’s programs and was also awarded The Shield of Excellence in Volunteering by the Deputy Minister for Senior Citizens. 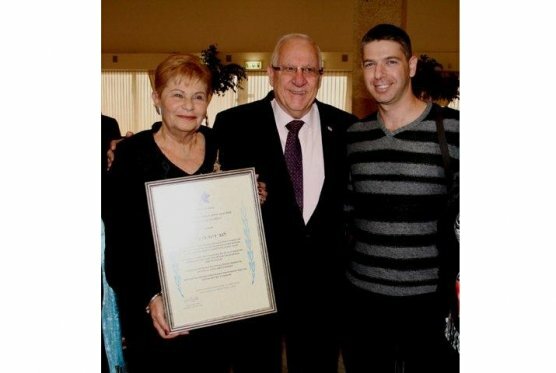 In 2015, Yadid LaChinuch was awarded the Glickman Excellence Prize from Joint Eshel, and the coordinators group was awarded the Shield of Excellence for Senior Citizen Volunteering from Joint Eshel. 2016 - Yadid LaChinuch has been awarded the Zusman-Joint Award for Social Services' Excellence in the Social Unity category. We believe that our contribution to the education system, to senior citizens and to the community is through providing solutions to urgent problems facing Israeli society. The organizational vision is to expand our operations intelligently and systematically, both in municipalities where we already have established volunteer groups, and in municipalities where we currently do not operate. Our supporters are the Rothschild Foundation, the Gottesman Fund, the Glencore Society for Welfare and Education, the Azrieli Foundation, the Rochlin Foundation, the Josef & Krystyna Kasierer, the Arison Foundation, Migdal LTD, Check Point Software Technologies LTD, and others. The organization has all required legal and tax certificates.